No Short Cuts! – Happy. Homeschooling. Housewife. I just finished a five week book study on the book One Thousand Gifts. The time spent discussing this work with ladies at my church was so rewarding for me. The author of the book, Ann Voskamp, uses baking bread as a metaphor and by the end of of the five weeks I was inspired to try my hand at baking bread. Bread baking has always been one of life’s mysteries, as if somehow–magically, flour and yeast turn into the most delicious of things. I am and have always been a lover of really good bread, it is one of my weaknesses. But prior to my book talk I never imagined me producing anything that looked like bread. My journey into bread making first started with a bread machine. Wow, the whole notion of throwing ingredients in, closing a lid and pressing start really resonated with me. The bread machine could do all kinds of breads. When my machine finally arrived I was so excited. I made pizza (such great dough) and even strawberry banana bread (simply delicious). But after two broken machines (the first would mix but not heat and the second just decided to not turn on one morning) I was left with a choice…to do it the old fashioned way, with my hands. Admittingly I was kind of forced into the position as I had filled the machine with ingredients for pizza–a hit the first time I made it. But when I pressed the button and nothing happened (oh, and after I carried the machine like a baby to several outlets in the kitchen and nothing happened) I was left standing with a choice: call the pizza man or do it from scratch like Ann. I sat the machine down and turned on my computer (thank goodness for technology!) and searched for a homemade pizza dough recipe. Then I got my hands messy with dough, forming it into a smooth ball, and watching it rise outside my window in warm sun. My kids said it was the best pizza ever–they don’t need the pizza man anymore! The pizza dough got me hooked. So last night I knew I was making vegetable lentil soup for dinner and wanted french bread to go with it. Normally, I would call Khari and ask him to pick up a loaf on the way home, but before I made the call I decided to see if there was a recipe lurking about. Could it be possible to making french bread at home? Luckily I found one and decided to give it a try! What I discovered is that bread making is therapeutic for me. I have heard my parents and now big sis talk about gardening relaxing them, well that is what making bread did for me. 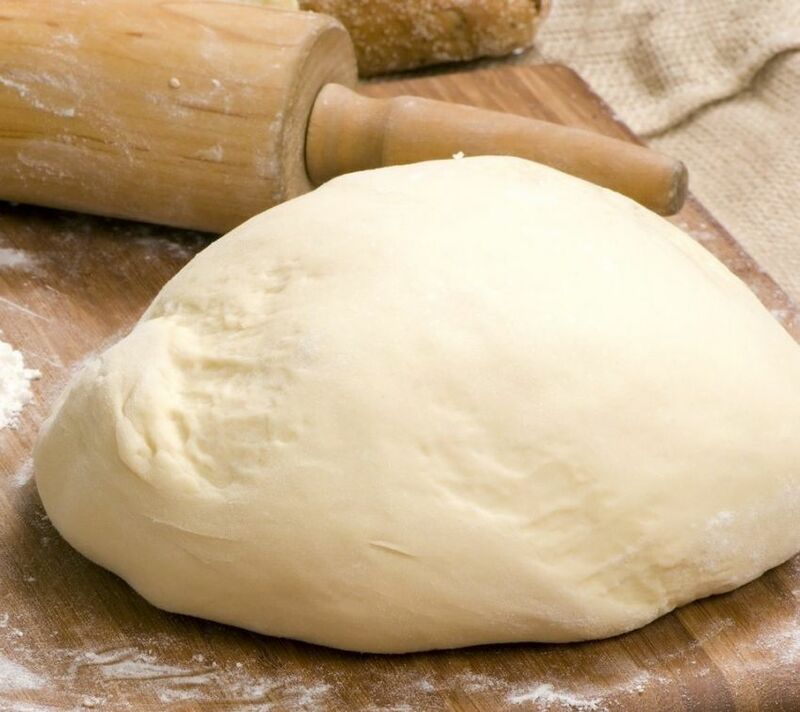 As I kneaded the dough and form the balls I found myself whispering thankfuls, my breath slowed down as I witnessed the transformation of flour, dry and uninteresting, come together with a few ingredients, to become a beautiful smooth ball. I was so encouraged by this dough–and remembered all the references of dough in the Bible and the importance of bread itself. I am like this bread–fragment pieces, awkward, sticky, messy–and the Father is the bread maker, kneading, pressing, patting, smoothing, letting me sit with myself for a while so I can grow–even threw the painful, yet all the while seeing and believing the beautiful possibilities of me. At the end of it, I had two golden yummy french bread loaves that my family enjoyed so much. Most importantly, I learned a lesson that I believe God has been trying to teach me for a while now (some times it takes a while but I am so thankful He is patient) and that is ‘No Short Cuts: go through the process and do the work. The growing is through the work and work takes time.” I went to bed completely thankful that my bread machine (both of them) broke down and also completely aware that they broke down right when I encountered a woman, whom I probably will never meet, show me how to make bread daily with my own two hands and give thanks! May you Stay Encouraged & Be Blessed (and eat good bread)!